Because of consumers’ rampant use of coupons for their grocery purchases, supermarkets are flooded with thousand of coupons every day, with a number of their display shelves being emptied by coupon-clipping shoppers. In order to accommodate as much of these budget conscious customers and at the same time still keep the business running, most supermarkets and grocery store chains are implementing some changes in their coupon policies. Some of these policy changes include limiting what amount is allowed for doubling and how many coupons can be used for a specific product. One grocery store chain that has made some changes to its coupon policy is Kroger. The Kroger store at Perrysburg, Ohio, has stopped allowing coupon doubling, which made quite a number of consumers upset about the change. Kroger will also now only allow three identical coupons for every shopping trip. Another grocery store that has made some changes in its coupon policy is Rite Aid. The store will not accept BOGO coupons for BOGO sales anymore, which previously would have allowed a shopper to get two of the specified products free. Other supermarkets, like Seaway Market, are more thorough and careful when screening coupons presented to them. This is because with the popularity of extreme couponing came the number of counterfeit coupons as well. According to blogger Katie Fleck, these coupon policy changes are aimed to accommodate the large number of coupon-clipping consumers in the stores. She also added that these changes have a positive effect, as well. With implementing these new rules, more consumers will be able to get great deals, instead of only a few people emptying the stores’ shelves. 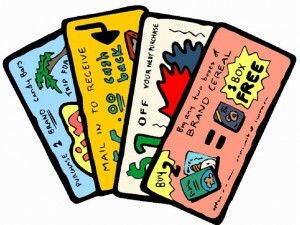 Fleck manages a blog about matching coupons with grocery goods that are on sale. I blame the stores. I signed up for a Kroger card not kroger coupons and every two weeks or so I get a packet of Kroger brand coupons mailed to me. These stores lure you in to strictly shop their products. If a store is running a sale 10/10 and I have coupons for that item I am going to get that item, probably not ten but maybe a few. I can really see both sides, but I think that limiting the amount you can buy, & not doubling some coupons, only makes me go to another store. I do think also though, that if you want to purchase say, more than 15 or 20 of the same item with coupons, why not call the store ahead so they can put them back for you & order ahead. This is only being considerate of other shoppers. The stores & companies want you to buy, so why change the policy so much that it drives customers to other stores. I know my meijers store will only double coupons up to 2, so if I want 4, I will ring up 2 in one order, pay for them, & then in another transaction, buy 2 more. Another thing I noticed that Krogers & Giant Eagle are doing–Even though my internet coupon did NOT say "do not double", it was for fifty cents, the register did not double it, & the manager would not double it, even though their policy is to double up to 99 cents. This makes it really confusing for the customer. Its called an order request form. There at customer service.limiting helps keep shelf full for other people.kroger is not a warehouse or a sams club. Coupons are designed by companies to persuade possible customers who are reluctant to spend money on a new product to try them. The extreme couponers are gaming the sytem and these new store policies will stop them. These coupon changes are only meant to stop the extreme couponers.